Susan Haskins of Greeley, Colorado studied art and business at the University of Northern Colorado. She has also studied painting in Ponte, Italy as well with professional painters such as Dean Bowlby, Jody Goodwiine, Hollis Wilford, Mark Daily and Skip Whitcom. Haskins is an oil painter concentrating on landscape focusing on the "plein air" (french term meaning open air on location). She has also done portraiture, sculpture and three Loveland transformer boxes. 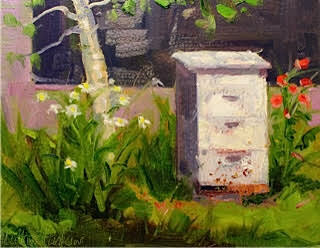 "The en plein air technique is my favorite because it lends itself to a fresh look, not over worked. The completed painting or study is usually finished in 1-2 hours because of the quickly changing light and shadows." 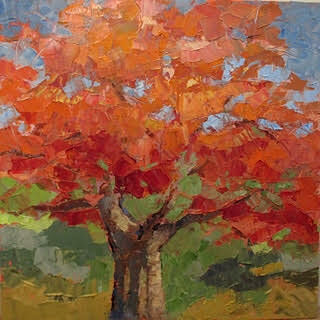 Susan is a member of: Madison and Main Gallery, Plein Air Artists of Colorado, Glenwood Springs Artist Guild and the Gilpin County Artists Association.